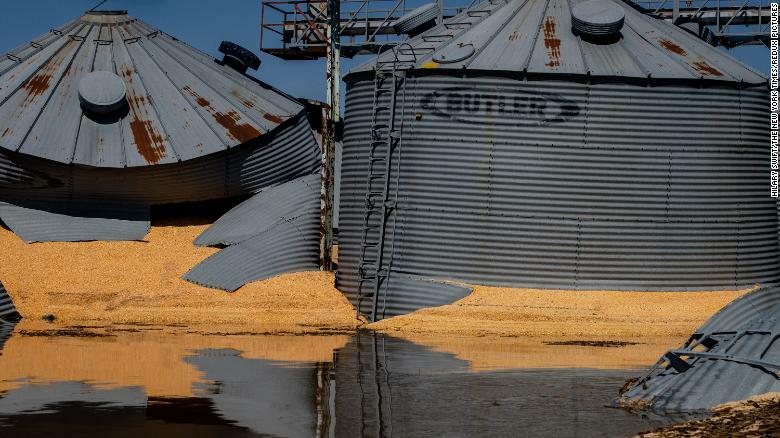 Grain silos destroyed by the flooding in Hamburg, Iowa, on Wednesday. Farmers and ranchers have been especially hard hit. 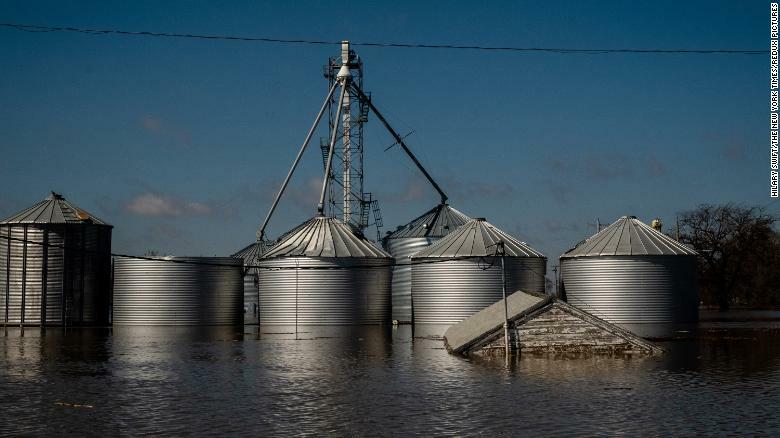 In rural eastern Nebraska outside of Omaha, farmer Eric Alberts told that about 700 of his hogs drowned, many in his barn. 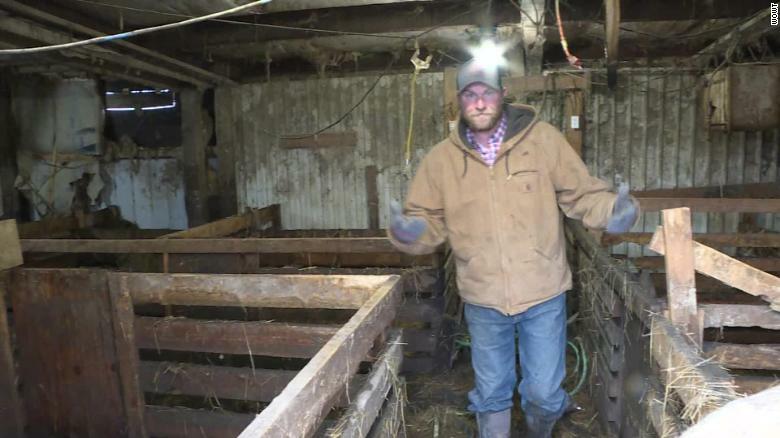 Eric Alberts said many hogs drowned in this barn. 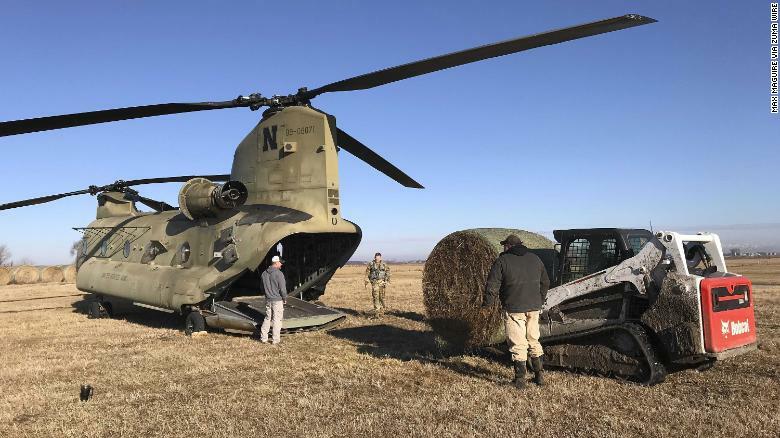 Nebraska Army National Guard soldiers load bales of hay into a CH-47 Chinook helicopter for airdrops to cattle stranded by flooding Wednesday in Columbus, Nebraska.